A word of caution pertaining to stiching and blowing up photos. Firstly, resolution. Not such a big thing these days what with 8 plus Mb DSLR cameras. Secondly however, unless you have tripoded the frame, the chances are that when you blow it up, you will loose the crispness as it will be slightly blurry. I've had photos blown up to 10x15 that where shot with tripod, remote shutter release (to avoid vibration of pressing the shutter release) and f22 to get as much light in as possible and you could still pick some blur. More than aware of that, I've been into photography for about 8 years now. These were taken on 7Mp DSLR. I am currently upgrading to a 14.6Mp DSLR! Can't wait! Oh yeah, I can get 1x1.5m canvas prints done for the price of materials (around $40) - my mate has his own graphic design company and has a commercial printer. Hey Damien, if I send you the full size versions of both those photos do you think you do do something similar with them? That'd look unreal blown up big on the wall. Any yes mate you can send the full size versions to me & I'll see what I can do. But I can't promise you anything though. But as they say, you'll never ever know if you never have go. I'll PM you my email address. Nice one Eden. Keep it up Son. Eden, you have just given me an idea, as my Forry is due for a bath at the moment. Mr Turbo, Love your work. I'll try a few more once the weekend gets here. Eden, looking good, I think my Outback is just as dirty at the moment. MY03 Outback H6. SubaXtreme mods all round. 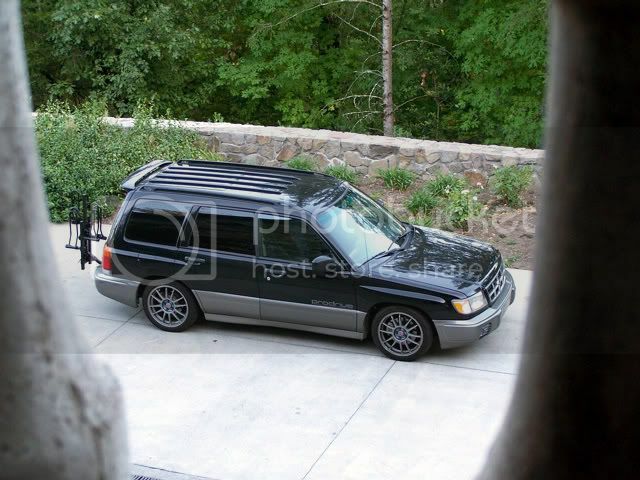 04 Forester XT ~ "Subed"
98 Forester S ~ "Slynki"
Sorry everyone I just can't help myself.